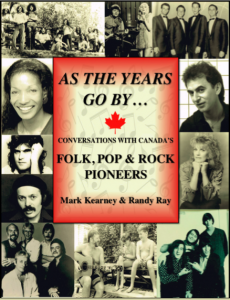 Local author Randy Ray will be in the store on Saturday, January 27 from 12:00-2:00pm to sign copies of his new book about the early Canadian folk, pop, and rock pioneers, As the Years Go By…. “Anyone who grew up in Canada in the 1950s, ’60s and 70s, knows how amazing this country’s music scene was in those magical decades. Etched in our musical memories are great tunes, TV appearances and live shows featuring The Diamonds, Lighthouse, Steppenwolf, Mashmakhan, Patsy Gallant, Bobby Curtola, Susan Jacks, Moxy and Michel Pagliaro, among many others. Happy New Year! We hope you’ve all had a good start to 2018! It might be cold enough outside to freeze your Winnebago, but we here at Books on Beechwood have just finished conducting an official study that says going out in the cold is good for your health…as long as you’re dressed for it and are heading only as far as the bookstore. So before giving in to the desire to hibernate until spring, be sure to pay us a visit to check out what’s new and to fill in any gaps Santa may have left in your Christmas wish list. As an added incentive for you to come through our door this month, we will be having our Annual Inventory Sale on in stock items only from now until Saturday, January 20. So, for the next couple of weeks, all books will be 25% off, 2018 calendars will be 40% off, greeting cards will be 25% off, and all games, mugs, puzzles, and other gift items will be 30% off! Items exempted from the sale include CDs, DVDs, magazines, special orders, and the Globe and Mail. To mark the end of our sale, we will be CLOSED on Sunday, January 21 for our annual stock-taking. Regular store hours will resume on Monday, January 22. So, if there’s a special book or game you’ve been eyeing, now it the ideal time to make it an official member of your family! After taking a break in December, our Book Club is back at it for January! 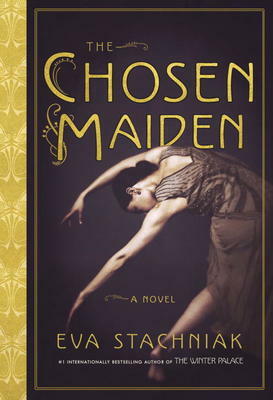 This month’s book, The Chosen Maiden by Eva Stachniak, is a historical novel that explores the lives of the Nijinsky siblings and their very different journeys through the world of ballet in early 20th Century Russia. 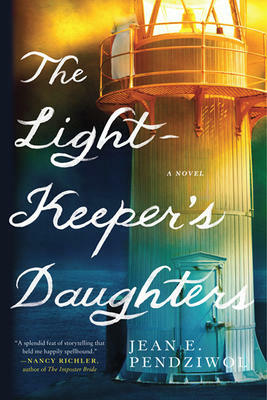 Moving forward through the winter months, the Book Club will be reading Zadie Smith‘s Swing Time in February and The Light-Keeper’s Daughters by Jean E. Pendziwol in March. New book club members are always welcome, and can sign up by calling or e-mailing us at the store. For more information on meeting times and places for the next few months, check out the Book Club section on our website. There are two sessions each month, but attendees need only go to one and can select whichever date is most convenient for them. We look forward to seeing you at the meeting! January tends to be a bit of a quieter time of year for retailers, but thankfully the publishing industry never takes a break! Even now, in the depths of winter, new books continue to roll into the store on a daily basis. We just received a surprise treat for all the kids out there: Dog Man and Cat Kid by Dav Pilkey. This fourth book in the Dog Man series finds our canine hero setting his nose to work on another mind-boggling mystery with his new furry feline sidekick, Cat Kid. With the same eye-popping colour and zany style as Pilkey’s earlier series, Captain Underpants, this fun graphic novel series is guaranteed to be a big hit with boys and girls, both young and old! We’ve also welcomed a number of thrilling and chilling novels into our midst over the last couple of weeks, just in time for the arrival of the long dark. Store favourite Andrea Camilleri has given us yet another Inspector Montalbano mystery in The Pyramid of Mud. This new novel finds our intrepid Italian inspector knee deep in a new case (as well as mud) as he tries to solve a murder on an empty construction site plagued by more than just dead bodies. Mystery juggernaut Peter May continues to garner praise and followers with his many dark and atmospheric mystery series, and we expect response to The Firemaker to be no different. This first book in The China Thrillers series features devoted Beijing detective Li Yan and is sure to please long time fans while continuing to gather new fans into the fold. Discovering a new author or book series can bring readers just as much joy as revisiting old standbys, so we’re very excited to have so many brand new debut novels in stock right now. Creeping from the world of journalism into the world of publishing, Jane Harper has already earned critical acclaim for her debut mystery, The Dry. Now out in paperback, this riveting story finds FBI Agent Aaron Falk back in his hometown for the funeral of his childhood friend, twenty years after being run out of town alongside his father. As old wounds are reopened and long buried secrets come to light, it becomes apparent to Aaron that sometimes in order to go forwards, you first have to go back. A.J. Finn is another journalist turned debut novelist with the publication of The Woman in the Window, a psychological thrill-ride great for fans of Alfred Hitchcock and the Film Noir genre. When a recluse in New York sees something she shouldn’t from her window, her world quickly crumbles around her, revealing shocking secrets and causing her to question everything she thought she knew. With a slight dystopian bent to it, The Wolves of Winter by newbie novelist Tyrell Johnson, is the story of one woman’s struggle for survival in a post nuclear war world. Forced to forage in the Yukon wilderness to support herself and her family, Lynn McBride must decide what she’s truly capable of when a mysterious fugitive arrives on her doorstep, trailing enemies from her past behind him. Back in 1939, if you wanted to leave your past behind, boarding an ocean liner bound for Australia was a pretty good way to do it. This is the situation Lily Shepherd finds herself in in the Agatha Christie-esque novel Dangerous Crossing by Rachel Rhys. Even as the cocktails are being poured and the band is playing well into the night, tensions are rising among the ship’s passengers until the glamour begins to fade and then the unthinkable happens. When the ship finally docks, there are two dead passengers on board, a declaration of war has been made, and Lily knows that even thousands of miles of open ocean isn’t enough to keep her past at bay. 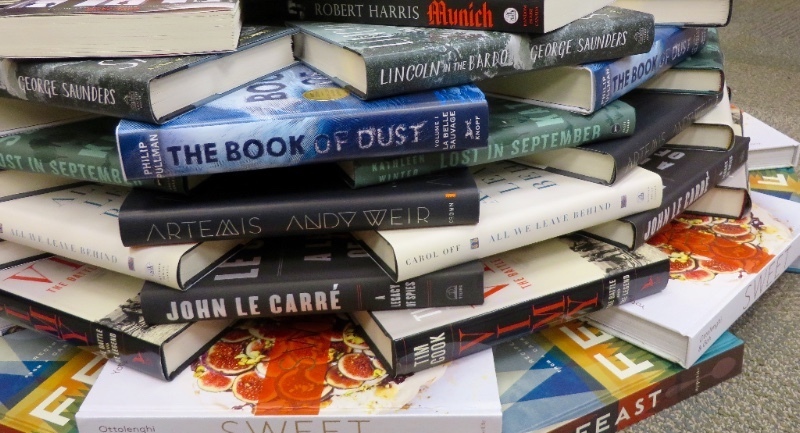 No matter how excited we are about the books that we have in stock right now, we have to save a little of our enthusiasm for all the great titles that have yet to hit the ground. Here are a few that we’re looking forward to getting our hands on: Winter by Ali Smith (January 9), the second book in her quartet which began with Autumn; The Mitford Murders by Jessica Fellowes (January 23) of Downton Abbey fame; This Fallen Prey by Kelley Armstrong (January 30), the third installment of her Rockton Series, followup to City of the Lost and A Darkness Absolute; The Great Alone by Kristin Hannah (February 6), the acclaimed author of The Nightingale. Finally, keep an eye on our newsletter, Facebook page, and website in coming weeks and months to learn about all the different events we will be hosting in and out of the store through the rest of the winter. We may not have any Titles@Table40 events to tell you about just yet, but never fear! Our ever popular dinner series will be back in the spring, so stay tuned! After enjoying a holiday season full of hustle and bustle, the over-stimulation of family gatherings, and maybe one too many eggnogs, it’s not hard to convince ourselves to spend the first two months of this new year hibernating in order to recharge our emotional and physical batteries. While we here at Books on Beechwood are big proponents of cocooning ourselves under cozy blankets with our favourite books, even the most die-hard bookworm needs some bracing winter air every now and then. So, be sure to stop by – it’s a little known fact that while books may not look like blankets, they’ll keep you ten times warmer! Wishing you a Happy New Year and Happy Reading!